I love turning trash into treasure! There is something about using items that would otherwise be tossed aside into simple art pieces that are therapeutic and makes you smile every time you see them. This sweet little upcycled owl was no exception, literally made almost entirely with scraps that would have likely been thrown out. I am so happy to give them new life and spruce up my shelves or even hang it in the garden for next to nothing. 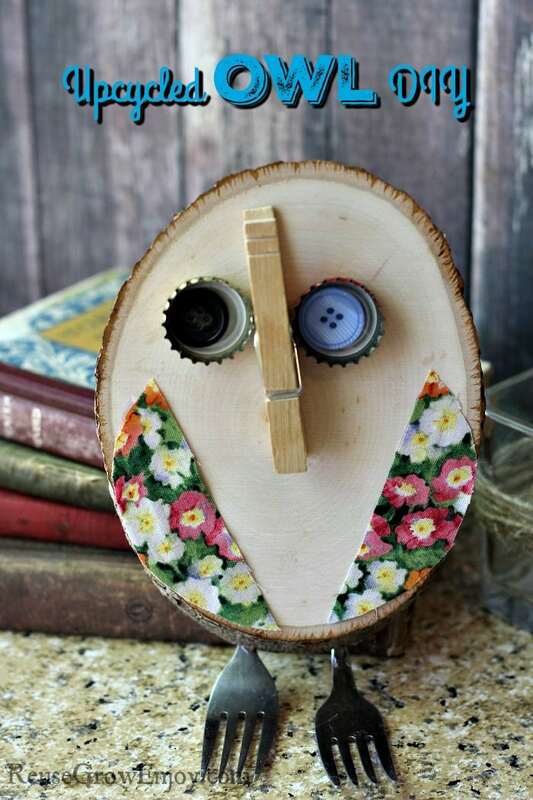 The only purchase made in this DIY upcycled owl was for the wood slice. 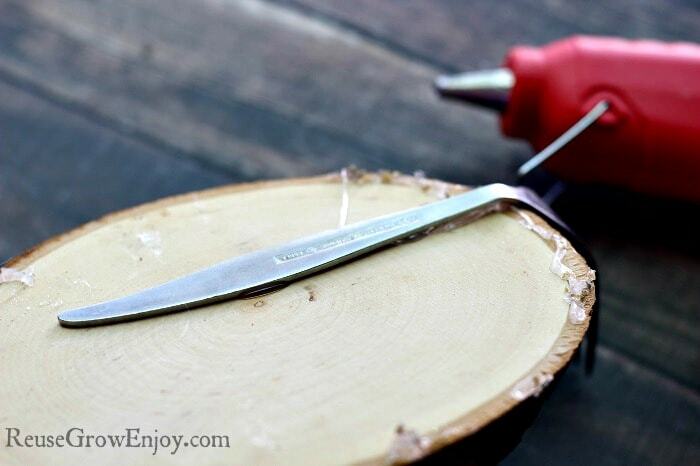 However, you could cut your own or even use something else that is oval shaped in its place. If you will be buying a piece of wood, they can be found at almost all craft stores or even on Amazon. Gather up your supplies needed, if you don’t have the exact items that are used here, you can substitute with whatever you have on hand to get a similar look. Let’s get started! 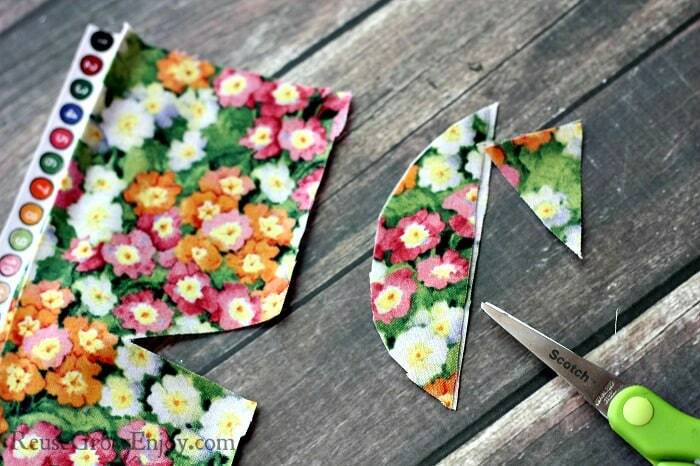 First, you want to cut two semi circles of scrap fabric about 2″ wide at the center and approximately 4″ tall. 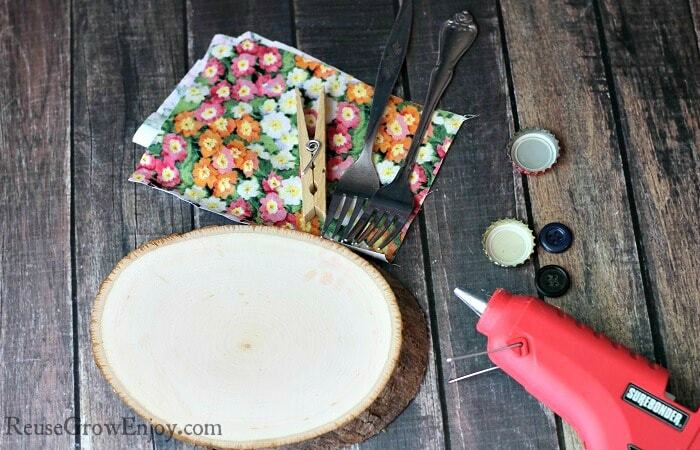 Using the hot glue gun, glue them in place on the piece of wood. The should be on the lower half of the wood on each edge. 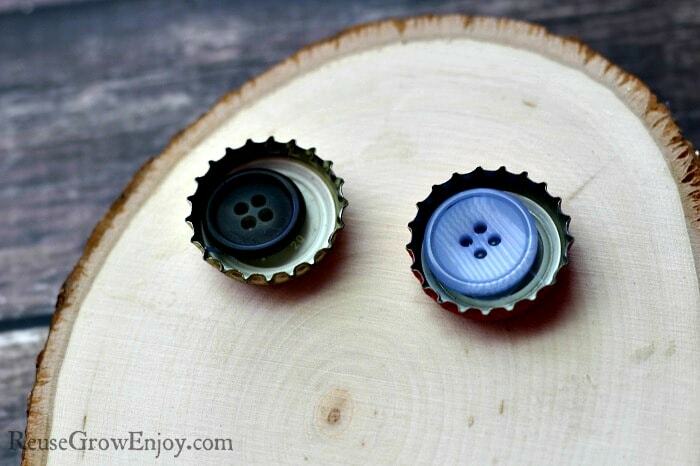 Now hot glue a button inside of your bottle cap and secure to wood slice with glue, repeat with a second to create the owl’s eyes. These should be on the upper half of the wood. 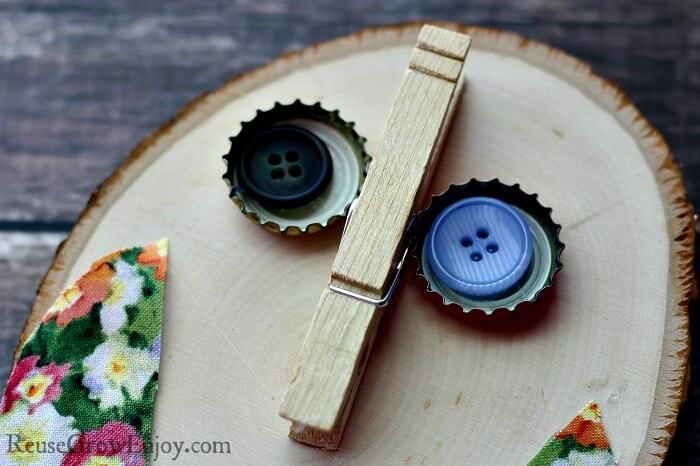 Secure clothespin with hot glue in the center of the two bottle caps for the beak. Take your pliers and bend both forks right where the handle meets the top of the tines into a 90° angle. Apply hot glue the length of fork handle, press quickly into the back of your wood slice and hold until cooled, repeat with second fork. Try to find a good center to balance for your owl when gluing the forks down. You want it to be able to stand on its own. If need be, you can remove the fork, peel off the glue and replace until you find the correct spot needed for it to stand. If you like this post on Upcycled Owl DIY, you may also want to check out DIY Upcycled Twine Vase, DIY Sweater Box or DIY Repurposed Utensil Jewelry Tree. I think it will make for a nice craft project for the kids! Plus, then you will have a bunch of cute owls around the garden/house!